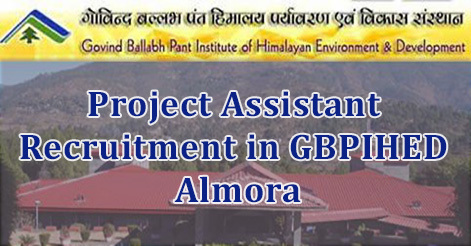 The G B Pant Institute of Himalayan Environment and Development (GBPIHED) Almora has released advertisement for recruitment of Project Assistant. 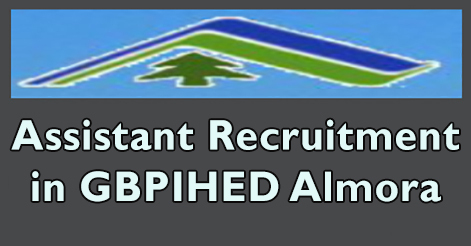 GBPIHED Almora invites application in a prescribed format for various posts of Project Assistant in different Units. Candidates may appear in the walk-in on 12 June 2017. Interested candidates with adequate qualification may appear for Walk-In-Interview on 12 June 2017 at 11:00 A.M. onward at Kosi-Katarmal (Almora) campus of the Institute. Candidates are requested to bring all important documents with them. 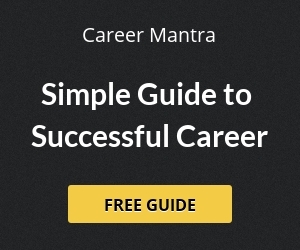 Help us to improve this article/job posting "Project Assistant Recruitment in GBPIHED Almora". We would be glad if you can comment below and provide your valuable suggestions and feedback. If this page have any wrong information/list or out of context content, then you can report us as well.